The OABA and its members strongly support the right of legitimate business enterprises to partner with domestic and exotic animals for entertainment and educational purposes. It has been shown that mutual respect between individual animals and humans creates life-long bonds that are unique to the world of the circus, carnivals and traveling shows. The OABA and its members support the provision that all exhibitors of animals in entertainment should acquire their animals in accordance to the regulations set forth by the U.S. Department of Agriculture, the Department of Commerce, and the U.S. Fish and Wildlife Service. The OABA and its members support the primary use of captive-bred animals for entertainment and educational services.Â Acquisition of animals fromÂ the wild for preservation and conservation purposes should be conducted in strict accordance of the CITES Treaty and/or Endangered Species Act. The OABA and its member support the training of animals only through methods that positively reinforce each individual animalâ€™s natural behaviors, tendencies and abilities. The OABA and its members firmly believe that partnering and working with non-native animals in the United States has no negative impact on any individual animal or its species in the wild. In fact, we argue that the opposite is true – a positive impact is made through the legitimate exhibition of animals by raising awareness of the plight of their counterparts in the wild. The OABA and its members feel that the proper and appropriate partnering with animals brings immeasurable educational value to the public. Adults and children alike can appreciate both individual animals and their respective species through personal encounters in a manner that cannot be equaled or surpassed through books, movies, on television, or the Internet. The OABA unequivocally supports the rights of its members to provide whatever legitimate measures necessary for the security and safety of all animals in its care; and to protect the animals against harm and injury from other animals, the public, and/or any and harm-doers. The position of the animal rights movement is that the life of any animal has the moral equivalency of the life on any human. The OABA and its members do not agree with this assumption, because we believe in a certain sacredness of human life that takes precedent over the secular lives of animals. The animal rights movement promotes the idea that animals should be elevated to become the moral, social and legal equal of humans. The OABA and its members strongly oppose PETA’s idea that “a pig is a dog is a rat is a child,” and feel that such a proposition diminishes the notion of humankind in its capacity to take full responsibility for stewardship over the animal world. The OABA and its members feel that humans bear the responsibility for the general stewardship of all animals, their natural environments, and their domestic habitats. In the entertainment business, this means a daily commitment to providing the highest quality care for all animals in our charge, as well as creating experiences whereby each animal may achieve its very best, both physically and mentally. The OABA and its members support the policy of unannounced visits and inspections by the authorized agents who are charged with the enforcement of myriad federal, state and local treaties, laws, regulations, and provisions. 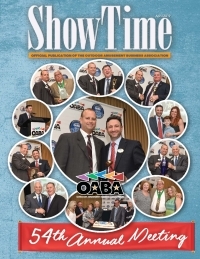 The OABA and its members support the use of the U.S.D.A.’s Program of Veterinary Care as a general guideline for medical and other care for animals in entertainment; and encourage exhibitors to conduct general medical examinations of all their animals on a regular basis. The OABA and its members support the right of assembly for animal rights protesters, as well as the right and responsibility of the media to cover such events. However, we urge the media to present the handful of protesters and their narrow political views in the proper context; and measured against the opinions of thousands of happy and satisfied customers who regularly attend and support circuses, carnivals and traveling shows.